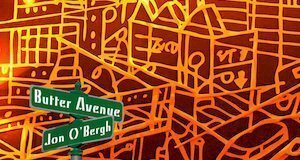 The new album Butter Avenue from Downtown West resident and musician Jon O’Bergh is the perfect follow-up to his earlier solo piano album, Winter Moods. This rich blend of jazz, impressionism, and neo-modern piano evokes spring’s vibrant tapestry of color. Reflecting both urban and pastoral scenes, and inspired by locations around Toronto, the rhythms of life come alive in the album’s 12 tracks. The spirit of Vince Guaraldi can be heard in the jaunty opening track, “Centre Island.” A softer mood prevails in the lilting title track, “Butter Avenue.” With stirring power, “Fleur-de-lys” evokes spring’s vitality. You can almost feel the rocking of passing trains in the bluesy “Portland Street Bridge,” named for the overpass above Toronto’s rail lines. “Sunday in High Park” creates the relaxing, laid-back mood of a bright spring day. 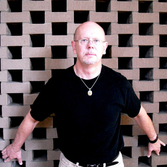 O’Bergh has explored a multitude of styles on past albums, ranging from jazz to funk to world beat to electronic dance. So why the return to a purely piano-oriented sound? “It seemed like the best way to express life re-awakening,” he says. “The piano allowed me to paint musical landscapes that embody life and motion while maintaining an intimate and improvisatory feel.” The album is available at most online music sites and streaming services. O’Bergh has released 14 albums in a variety of styles, including Carta, which reached #1 on the NAV chart. He has recorded and toured with the jazz/funk fusion band Gemini Soul. He has written two groundbreaking books which link music and stories: “Song of Fire” and “A Book of Hauntings.” “Elliptical: The Music of Meshell Ndegeocello,” which he co-authored with Andre Akinyele, is the first ever comprehensive look inside the music of this Multi-Grammy Nominated recording artist. O’Bergh holds a Bachelor’s degree in music from the University of California at Irvine.